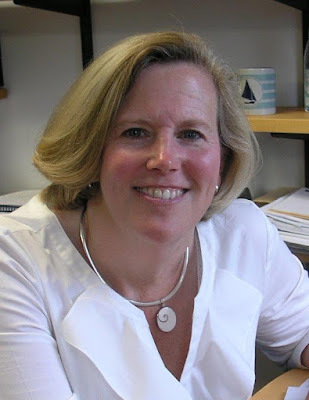 Today’s interview is with Jay Couture, the Executive Director and CEO of the Seacoast Mental Health Center, a non-profit community mental health center in Portsmouth, New Hampshire. Jay received master’s degree from the Department of Health Management and Policy here at UNH. Jay knew early on that she wanted to work in mental health, but thought she would be a provider. In this podcast we talk about Jay’s thirty years in the mental health industry working her way up from being an administrative assistant to CEO, and her more than twenty years at Seacoast Mental Health. We also discuss the variety of services provided by a community mental health center, the wide variety of skill sets that are required to deliver those services, the challenges and opportunities facing mental health organizations today, and conclude with a discussion of opportunities for the early careerist who might be interested in pursuing a career in mental health. The full length podcast is approximately 78 minutes. An abridged version is also available that only focuses on Seacoast’s organization and services. Today’s interview is with Tricia Cummings, the Administrator of The Edgewood Centre, a 150 bed family owned nursing home in Portsmouth, New Hampshire. Tricia received both her bachelor’s and master’s degrees from the Department of Health Management and Policy here at UNH. Tricia’s career story shows how early job experiences often generate skills that become critical later in one’s career, and that working hard every step of the way has its payoffs. In this podcast we talk about the road Tricia took to find her true passion – taking care of older adults. We also discuss how someone becomes a licensed nursing home administrator, the services offered by long term care facilities, the challenges and opportunities facing long term care today, and conclude with a discussion of opportunities for the early careerist who might be interested in pursuing a career in long term care.